Want free $15 discount on your next hotel stay? Hire high quality and affordable freelancers now! 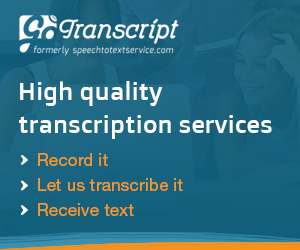 Need something transcribed? Let GoTranscript do it for you. It has always been difficult for the majority of Pinoys to acquire a verified PayPal account because let’s face it, most of us don’t have credit cards, may it be because we can’t afford to get one or we simply choose not to (too much temptation for shopaholics). Yes, there are certain debit cards that can be used to verify PayPal but Pinoys find it cumbersome or too much of a hassle because you will probably have to open an account to a certain bank just for that sole purpose. But now, you can easily and conveniently verify your PayPal account using the free app, PayMaya! No need to open a bank account, all you need to do is follow some really easy steps. First of all, is this PayMaya thing legit? Yes, it’s absolutely safe and legit. PayMaya is owned by PLDT and Smart Communications so yeah, you can rest assured that it’s not a scam. If you’re still skeptical about all this, check out PayMaya’s website. PayMaya is a free app (available on Google Play and App Store) that enables you to do online transactions with platforms that accept PayMaya or Visa as payment method. The app provides you with a Virtual Visa Card which you can use to verify your PayPal account. 1. Download the PayMaya app here, for android or for iOS. Sign up and enter your details (if you already have a PayPal account, use the exact details in your PayPal account). After you create your PayMaya account, a verification code will be sent to your phone which you will then enter on the app. Activate your virtual visa card through the app. 3. Log in to your PayPal account (If you don’t have one yet, create one and enter the exact same details that you entered on your PayMaya account) and click Profile, then click Add/Edit Credit Card. Enter the details of your PayMaya Virtual Visa Card. Choose Visa as the Card Type. Note that the expiration date is the value beside the “Valid Thru” and the Card Verification Number is the 3-digit number beside the CVV2 in your Virtual Visa Card. For the billing address, use the exact address that you used in your PayMaya account. 4. Confirm your card and wait for the 4-digit code that will be sent to the mobile number that you used for your PayMaya account and enter it on your PayPal account. During this process, your PayMaya account will be charged an amount of $1 for the verification charge and another 100 PHP to generate the 4-digit code, that’s why you will need to have at least 150 PHP in your PayMaya account when trying to verify your PayPal account. Don’t worry though because it will all be refunded to your account once the verification process is complete. Now that your PayPal account has been verified, you can now reap all the benefits that come with it! Enjoy hassle-free online shopping, online booking of flight and hotel reservations, buying of game credits and a whole lot more. You can also now withdraw your PayPal funds using your PayMaya Visa Card, by following some simple steps here. Need PayPal funds added into your account? To know more, just click this link. If you have any questions, comments or suggestions on how to verify your PayPal account without a credit or debit card, please don’t hesitate to contact me directly or to leave a comment below. Cheers!